Oil giant BP is set to announce plans on Tuesday detailing cuts worth billions of pounds to its capital spending program, following the dramatic plunge in oil prices and a 40 percent fall in its fourth quarter profits. The spending cuts follow the axing of hundreds of jobs in Aberdeen and thousands more globally, as the effects of continuing oil price drop plagues the industry. CEO Bob Dudley is expected to announce a reduction in spending of over 15 percent, bringing the total target to below $22 billion for 2015. The firm claims it will not, however, be making any further redundancies. In December the company announced it was spending $1 billion on restructuring, with most of the money diverted toward job cuts. It has already made changes to staffing levels in Trinidad, Houston and Azerbaijan. 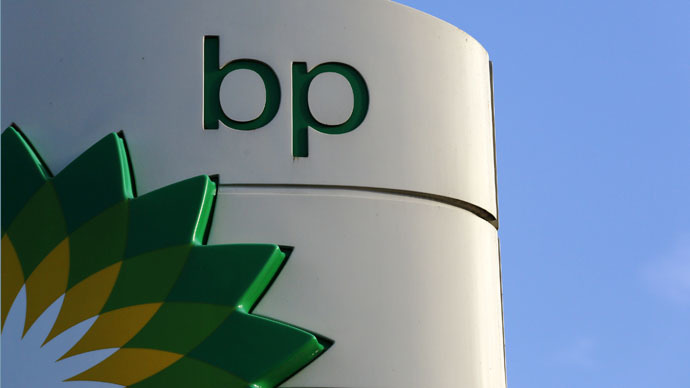 BP is the latest in a series of global oil companies making major reductions to spending. Shell laid off 525 workers last month and is expected to cut expenditure by $15 billion over the next three years. Likewise, Chevron is planning to cut spending by 13 percent and ConocoPhillips brought down capital spending to $11.5 billion. Chevron further announced on Saturday the termination of shale gas exploration in Poland, saying it no longer fitted with the company’s portfolio. ExxonMobil and Total have also axed plans to drill for shale in the country, with the former expected to reveal its strategy to deal with the falling price of oil soon. The price of Brent has plummeted from $115 per barrel in June 2014 to around $50 today. BP’s initial capital spending target was between $24 billion and $25 billion during 2014. The company is expected to announce an even lower 2015 target. Analysts say BP is particularly vulnerable to fluctuations in the price of oil as it is still attempting to repair the damage caused by the Deepwater Horizon disaster in 2010 in the Gulf of Mexico. The company managed to raise more funds to pay for the massive fines incurred after the oil spill by handed Chevron and ConocoPhilips a larger operational stake of the Gila and Tiber fields in US waters. The latest court ruling could mean BP will still face a further fine under the Clean Water Act worth $13.7 billion. Their divestments totaled $42 billion by the end of the third quarter. When they update the market, the sale of Gila and Tiber will account for a further $6 billion divestment. The announcement will also call into question BP’s ties with Russia. Dudley is expected to reassure investors that their 20 percent holding in the government-owned Rosneft is still a viable asset. Following the placement of sanctions on Russia, it is not certain whether Rosneft will be able to pay the annual dividend to BP in the summer.